Mayoral Dermatology is proud to offer BELOTERO BALANCE® dermal filler for revitalizing aging skin, filling in fine lines and wrinkles and replenishing sagging skin. As the face ages, lines and wrinkles result from repetitive facial motion, collagen breakdown, and volume loss. Dermal fillers are cosmetic injectables that can restore lost volume and restore the youthful contours of your face. An injection of BELOTERO BALANCE® Dermal Filler immediately smoothes moderate to severe facial folds and wrinkles by naturally integrating with your own skin and replacing low levels of HA. An FDA approved cosmetic filler that has also been approved for use in the U.K, Germany, Italy and other European countries, BELOTERO BALANCE® delivers beautifully natural-looking results that requires no surgery, downtime or anesthesia. Facial rejuvenation with dermal fillers produces rapid and natural facial rejuvenation. Belotero Balance is composed of hyaluronic acid, a naturally occurring substance in the skin. By injecting hyaluronic acid into the skin, an inflammatory response is triggered that results in wound healing and formation of new collagen. Hyaluronic acid may also neutralize oxygen free radicals that result in skin damage as we age. Belotero Balance is indicated for temporary treatment of wrinkles and lines in around the mouth and the nasolabial fold. It can be combined with skin resurfacing treatments, including chemical peels and laser treatment, to provide significant improvement in the appearance of vertical lip lines, smile lines, corner lines, tear trough deformities, and chin wrinkles. Belotero Balance is also effective for enhancement of lips that have lost collagen with aging. After applying a topical anesthetic cream to numb the treatment area, we will inject Belotero Balance into the area of concern. Belotero Balance is both safe and effective in most patients, although it is contraindicated in patients who have a history of severe allergic reactions or allergies to certain bacterial proteins. As with any injection, there is a slight risk of infection. You may have redness or swelling at the site of your injection, but it normally subsides in less than a week. After your injection, you can resume normal activities, although you should avoid heat or sun exposure, alcoholic beverages, aspirin and non-steroidal anti-inflammatory drugs like ibuprofen, and strenuous exercise. Belotero Balance is especially effective and natural looking in areas of fine lines and wrinkles. Results are immediate, and it lasts about six to twelve months. The gel is naturally broken down over time by your body and as this occurs, the wrinkles will slowly reappear. Primarily composed of hyaluronic acid gel, BELOTERO BALANCE® Dermal Filler’s wrinkle reduction ability has been clinically shown to last six months or longer after one or two injections. Because hyaluronic acid is a naturally occuring substance in the body meant to provide shape and form to the body’s external features, Belotero Balance is readily absorbed by the body and is known to be one of the most effective dermal fillers on the market. Injections of hyaluronic acid into the skin promote growth of keratinocytes, epidermal cells that protect against pathogens, water loss and UV radiation. If the skin detects a harmful entity such as bacteria or radiation, keratinocytes respond by producing chemokines, which are signaling proteins released by cells to create an inflammatory condition that stimulates a response by the immune system. In addition, large amounts of retinoic acid are pumped into the skin for hydration purposes that facilitate healing and collagen synthesis. Hyaluronic acid may also have antioxidant qualities enabling it to scavenge for free radical molecules thought to be responsible for many signs of aging and age-related diseases. The lips and perioral area often show the first signs of aging. As we lose collagen in the lips, the lips thin, which sometimes results in a harsh appearance. Unfortunately, cosmetics only call attention to the aging mouth. Restoration of volume can restore a youthful shape to the lips, while simultaneously improving the appearance of fine wrinkles and vertical lines from smoking. Lip enhancement, if poorly done, results in an unnatural or even clownish appearance. The doctors at Mayoral Dermatology are experienced in the use of Belotero Balance for natural and attractive lip enhancement. Dermal fillers like Belotero Balance give volume to thin lips by “plumping” them and creating a more definite and dramatic shape to the mouth. Injections of Belotero into specific areas around the mouth can also provide curvature and eliminate “smoker’s” lines and wrinkles. Belotero Balance is particularly effective for treatment of the “tear trough deformities” that result in under-eye circles and bagginess. A tear trough is the groove that extends from the inner corner of the eye in a semicircle over the top of the cheekbone. As you lose facial volume and elasticity with aging, the groove becomes more prominent. The under-eye skin is thin and delicate, and the consistency of Belotero is thin enough to result in less bruising or swelling in this area. If you have dark under-eye circles or a hollow appearance under your eyes, you may benefit from treatment of your tear trough deformities with Belotero Balance. After injection with Belotero, you can expect to look well-rested and rejuvenated, but the effects are both subtle and natural. Reverse the signs of aging quickly and easily at Mayoral Dermatology by taking advantage of BELOTERO BALANCE® Dermal Filler. Specializing in dermal filler applications, our providers will be happy to answer all your questions regarding this innovative, anti-aging technology that allows you to experience the satisfaction of smooth, wrinkle-free skin without suffering the expense, pain and downtime associated with surgical facelifts. At Mayoral Dermatology of Miami, we offer a variety of dermal fillers to our patients, each with unique properties that allow us to meet your cosmetic needs and budget. In inexperienced hands, injection of cosmetic fillers can result in an unnatural or unattractive appearance. Skill is required to avoid delicate structures like nerves, blood vessels, and tear ducts. 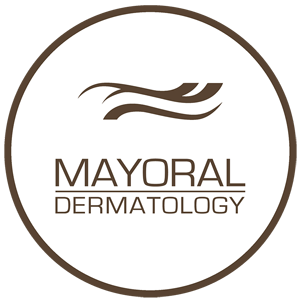 At Mayoral Dermatology in Miami, we have the experience to effectively implement a custom treatment plan for that best meets your needs. Our doctors utilize three-dimensional spatial visualization to enhance your natural beauty with restoration of age-related volume loss. Call us today for a consultation.